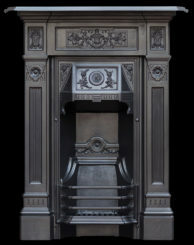 When you have your heart set upon buying an antique Cast Iron Fireplace, then the Antique Fireplace Restoration Company will have the perfect fireplace for you. 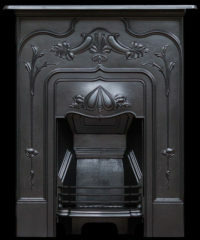 One great option is to buy a Cast Iron Fireplace with Combination Grates. 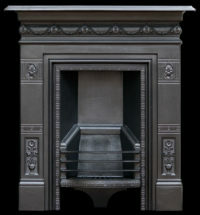 This simply means that the fireplace is one solid cast iron unit that is comprised of both the fire surround and Fire Grate. 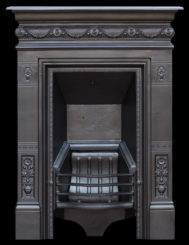 The beauty of this type of fireplace is that you will not need to purchase a separate Fire Grate which is integral to the safe working of the fire. Our range of fireplaces that feature a combination grate are incredibly diverse and you will be able to find a wide selection on our website. 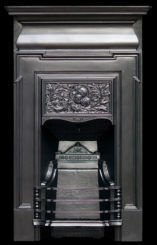 Some of our Combination Grates include the Calder Combination Grate that includes intricate carving to the fire surround. 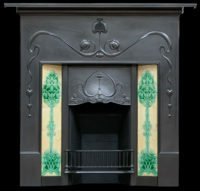 It is also decorated with stunning Victorian tiles. 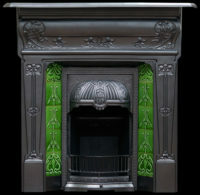 So if you wish to have a truly authentic Victorian fireplace, then the Calder is a good choice. 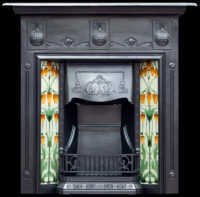 We also have several Art Nouveau fireplaces that feature a combination grate. 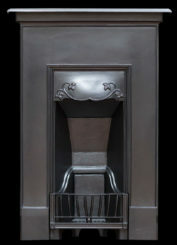 This type of design is incredibly simplistic yet beautiful and will perhaps suit the more contemporary style of room. We also have a range of Combination Grates that are suited to the bedroom. 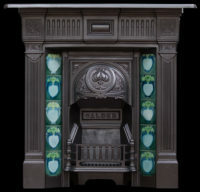 Our cast iron bedroom fireplace has beautiful fluted legs and is decorated with craved flowers and leaves. 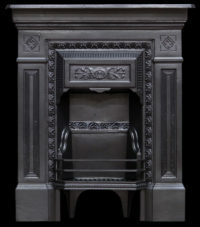 Another option is our beautifully ornate arched bedroom combination grate fireplace. 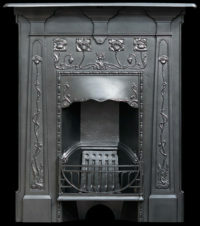 The beauty of the Cast Iron Fireplace is that it helps to create a focal point for any room and with such a diverse range to choose from, you will be sure to find a style, size and design to suit the décor of your room.